Recently, I wrote about a ghostly drummer story, versions of which appear in Turk’s Gut (today’s Marysvale) and Brigus, in Conception Bay. Since that article was printed, I have come across another version of the legend, though without a location. This “new” version of the legend was included in an article entitled “What About Ghosts?” which was printed in the September-December issue of The Feildian for 1905. 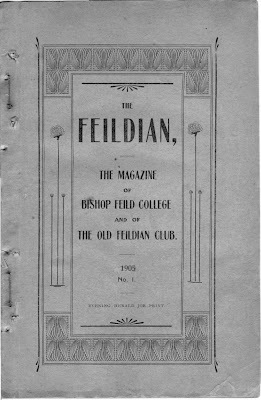 The Feildian was the magazine of Bishop Feild College, a Church of England academy for boys. 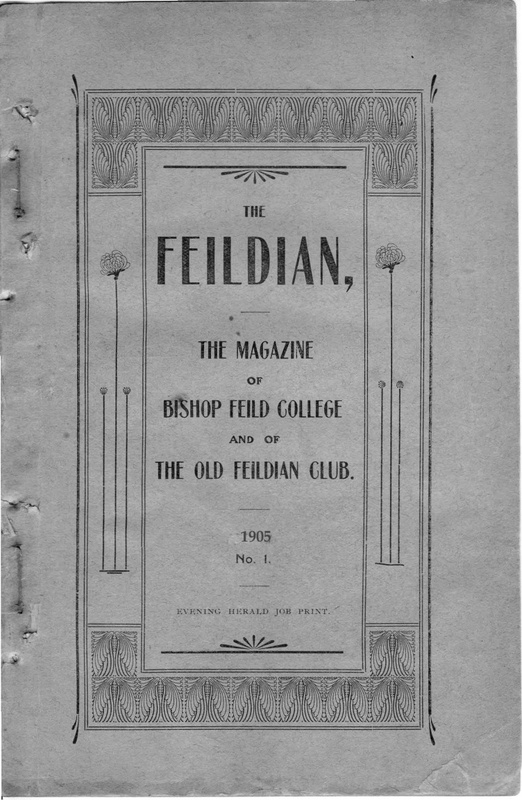 The magazine ran from 1893 to 1960, and was created to foster school feeling, and to chronicle the College affairs. It was the first publication of its kind on the island, and included news, letters, sports and reports from school alumni. One evening, the author was sitting in the twilight after supper, camped on the reportedly haunted spot. I suspect that the story, regardless of where it took place in the province geographically, is what folklorists would call a “migratory legend” - story supposedly based in historical fact, but which is which is found repeatedly at different places, having a similar plot but with place names or topographical information changed. Locals might believe their version to be “true,” but very similar versions, equally “true,” pop up a little bit further down the road, or in the next bay, or even in a different country. The ghostly drummer legend is probably related to other local legends, like the famous story of Piper’s Hole, near Swift Current on the Burin Peninsula. There, a ghostly piper has been playing his instrument for centuries, possibly giving the location its name. According to some, the phantom musician was a piper in the French army in the eighteenth century. In this version of the legend, the French and English clashed in battle at spot nearby called Garden Cove. Supposedly, the spirit of the French soldier lingers in the river valley, mournfully playing a tune. In other versions from the same area, the musician was a Scottish bagpiper, killed in a hunting accident by an Englishman. If you know of another ghostly piper or phantom drummer story, email me at dale@dalejarvis.ca.